Oh my goodness, oh my goodness, oh my goodness! Y'all!!!! This book!! Okay, I'll try to tone down my excitement, but I just finished reading this story and am beyond excited to share my review with you...next week. :D THIS week, you get to meet the characters! Whoop! Whoop! Enjoy! I let her talk first if at all possible. If she says something that isn’t utterly inane I’ll stick around and listen some more. If she’s a dunderhead, I move on. I haven’t the time for women with fluff for brains. I often hold meetings with the workers at the many businesses I own. The last time I held a meeting, it was for my employees at the lumberyard. I saw a serious lack of concern for safety and addressed it. People think I’m cold-hearted, but I don’t want a single person’s death or injury on my conscience—I have plenty of regrets weighing me down already. Women don’t tend to see me, they see my money. I don’t have time to figure out if there’s one out there who would actually care for me. What’s your greatest source of frustration? Right now? I’m about to put the finishing touches on my mansion and I’m not at all sure what to do with it. It’s a bit absurd for a bachelor to own such a beautiful monstrosity. I thought building it would make me feel better about something I’d rather not talk about, but it hasn’t. That this town will figure out what I’m using the mansion for at the moment. The woman I hope will be my future mother-in-law has tasked me with getting a donation from the town’s miser. He’s likely not going to give me a red cent, but I’m going to get something from him if I can. Mrs. Little wants me to fail so she can convince her son that marrying me is a mistake. I’m not from a good enough family in her opinion—and considering who my father is, I sort of agree. But if I’m going to have a financially secure future, I really think Sebastian Little is my best chance. He might not be the husband I’ve dreamed of, but then, at some point, you have to give up fairy tale romances or end up a spinster. The day the pastor’s wife realized that Momma and I were surviving on one meal a day because of my father’s gambling problem. She brought us lunch every day for several months during a particularly trying time. As grateful as I am for her generosity, that first day when I realized my father’s vices were known to more than just Momma and me, I was ashamed of being my father’s daughter. Does my father count? He won’t change his ways no matter how much it’s hurting us. Momma is terminally ill according to the doctor and needs medication to help her with pain, but that hasn’t stopped Father from wasting his paycheck at the poker tables in the red light district. I read whatever I can get my hands on! My former high school English teacher has lent me everything he owns several times over, a few other friends have loaned me books, and I’ve scraped up enough money for a few books of my own, but this town really needs a library! The last time Sebastian took me to the hotel to eat. That man won’t eat anything deemed ordinary. He ordered us both oyster soup. I couldn’t stand it, but he thought it was salted to perfection. Melissa Jagears is a Carol Award-winning author, a homeschooling mother to three, and an extreme night owl. She lives with her family in Kansas. 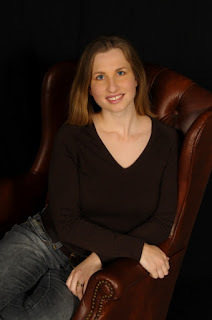 You can connect with Melissa on her website, blog, Facebook (author page), Facebook (blog page), Goodreads, and Pinterest. Have you ever thought someone was snobbish or mean, then they turned out to be a good friend? Have you ever visited or lived in a mansion? What was your favorite thing about the place? How many times a week/month do you visit your local public library? No, I have never visited a mansion but would love to some day. I love Melissa's books and can hardly wait to read her newest one, thank you for the chance to win a copy. Oh I have been anxious to read this!! I used to visit the library every week, but since reviewing books for authors I don't go as often. TY for the chance. God bless! I go to the library at least twice a week it seems! With so many siblings, and all of us avid readers, we couldn't live without our library! This book sounds SO good! I think we may have a few new readers for "A Heart Most Certain" here at our house! I have visited the Biltmore house in Asheville North Carolina several times. I think that could be considered a mansion in anybody's book. Lydia sounds like she has been dealt a difficult hand in life . I look forward to reading more of her story. Biltmore Estate House is the largest mansion I have ever visited. Sigh. So beautiful. The guide said that the place really was run like a hotel since there were always visitors. It would be difficult to live in a place like that if you didn't have myriads of servants. Nowadays you wouldn't likely have live-in household help. Cleaning services would be hired. I don't physically visit the library very often, but make good use of the digital library from my county, as well as, the state system. I do use the local library almost every week. My sister works there, so picks up my requested books for me and brings them to me when she sees me that week. If she didn't work there, I probably would go every two weeks. Can I count myself as the snobbish or mean person that someone is surprised turns out to be a pretty good friend? I've even had one friend say she was certain she wouldn't like me the first time she met me because I was too cold. I'm the female version of Mr. Darcy. The mansion on the front cover is the Brown Mansion in Coffeyville Kansas which I visited and took a lot of details from to create Lowe's Mansion. And I am so glad for the big city library system I just moved to. We go there weekly if not more for lots and lots of story books! I hope you all enjoy it when you get it! I've met many people who are much nicer than they seem at first, and I've met many people who are much worse than I originally thought, unfortunately! I can't wait to read this, and the cover is the diggity bomb! I've read the first chapter of this book and can't wait to read the rest! I visit my local library twice a week, sometimes up to four times a week. Got to have a book in hand at all times! I visit the library in spurts. I'll go for a few months without going and then I start visiting every week. It just depends on what I'm reading at that time. Thanks for the character interviews and the giveaway! The village I live in doesn't have a library. The closest town that has one would charge me quite a bit to have a card there because I don't live within their city limits. I would love to be able to go and check out books! This new book from Melissa looks like a great one to read! I visit our local library at least once every couple of weeks. We have an AMAZING library and am so thankful for it! I visited a mansion on a mission trip to Portugal. It was beautiful! I loved all the regalness and finery and the secret passage ways!!! 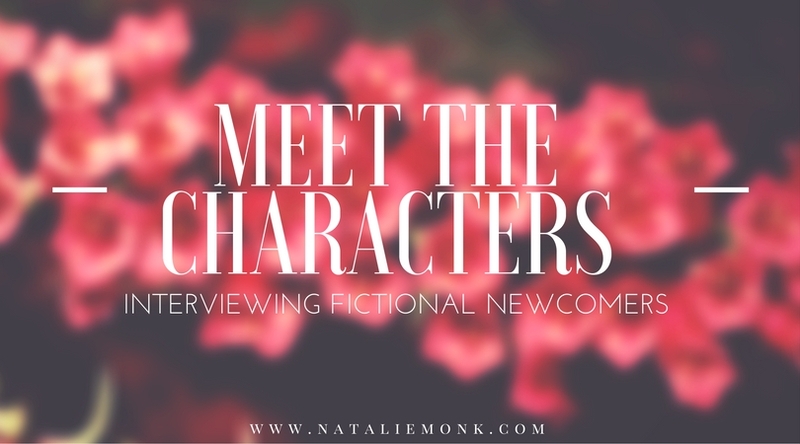 What a fun review by interviewing the characters of the book! Thanks for the opportunity of this giveaway!!! Your great enthusiasm and love for this book makes me eager to read it! Thank you! Once I did not like a girl and later she bacame on of my best friends. What happened? I prayed and God changed me! I live in a small town and the library is close by. I go there probably twice a week. Isn't it my duty to also keep my daughter with access to many good books? O...i would love to meet Lydia King! She's funny. Thanks for the chance. No one comes to mind right now. Hi, WENDY! Sure thing! Got your entry! MICHELLE! Thanks for coming by! Best wishes in the giveaway! Same here, LUCY. Especially since the e-reader came out, I don’t go to the library as often. And reviewing books for authors does keep my personal library full! J.C., how fun to have many siblings who are readers! Best wishes in the giveaway! I love this book, and I know you will as well! Hi, PATTY! I’ve never been to Biltmore, but I’ve seen a video tour, and found it fascinating! Hi, SYLVIA! Any sister who brings you books is a keeper! Sounds like you have a good one! :) And I totally agree about Biltmore. If I lived in such a huge house, I’d definitely want servants, lol. “The female Darcy.” Haha! MELISSA, I’ll have to remember that when we meet in person. But I already know you’re nice since we’ve known each other so long through blogs and Facebook. :) I love how Lydia thinks Nicholas is such a stuck-up scrooge at first, then she comes up against such a rude awakening when she meets Nick. :) I’ve never heard of the Brown Mansion, but now I’m wanting to look it up! KAREN, I know what you mean about the TBR stack!!! Best wishes in the giveaway! Good to see you again, MELODY! I know, isn’t that cover spectacular? Love it! I don't go to the library as its in another town and out of the way to get there. But they do have kindle lending books. I have been to two mansions in Rhode island - The Breakers and The Marble House. I live in the same town where the Brown Mansion pictured on the cover of the book can be found. My daughter's baby shower was held there just this summer. So fun! Hi, JACKIE! Thanks for entering! Same here, LORAINE. I love my library, but after the invention of the e-reader, and with influencer copies available from some of my favorites, I usually go to the library for DVDs or for use of the internet. I do usually grab a few research books, though, when I’m brainstorming a new story. Thanks for entering the giveaway! DONNA, you’ve just made me 100% more grateful for my local library! Thank you for coming by and entering! Hi, AGBOSS! Good to see you here again! Oh my, you’re Portugal trip sounds incredible! And I love the example you gave with your friend who turned out to be nice. 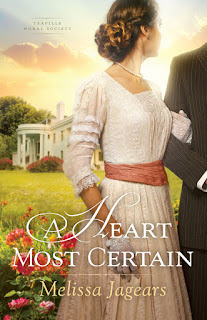 Lydia King in A HEART MOST CERTAIN finds deeper layers in the hero Nicholas Lowe, which are much more warm and friendly than she first thinks of him. I love it when fiction relates to real life. Hi, ANNIE! You’ll love this book! Thanks for stopping by to enter! I think you’d love this book, AMANDA! Thanks so much for taking the time to comment and enter! Hi, Cheryl! WOW! How fun! Thanks for commenting and best wishes in the giveaway!